The Buell Ulysses XB12X is an all-new Adventure Sportbike designed to deliver capable performance on unpaved roads while retaining legendary Buell handling and thrust on pavement. 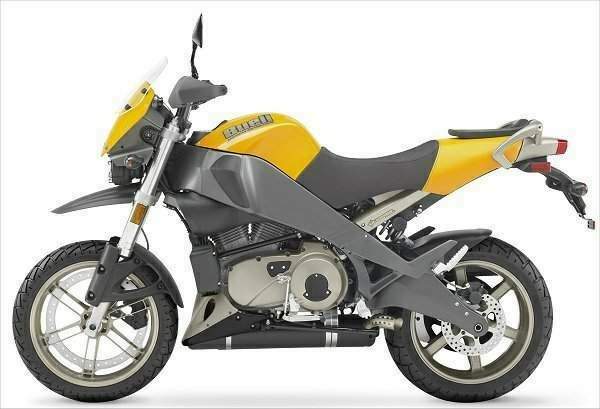 Long-travel suspension, specific tires, an upright seating position and innovative Triple Tail luggage and passenger accommodations make the Buell Ulysses one of the most versatile sport motorcycles available today. The Ulysses chassis was designed specifically to work well on paved and unpaved roads. Fork rake is 22 degrees, while the wheelbase is 54 inches, a combination that provides nimble, playful handling and a roomy cockpit for the rider and passenger. As on Buell Lightning and Firebolt models, Ulysses carries fuel in its rigid aluminum frame, while the lightweight aluminum swingarm doubles as the oil reservoir. Fuel capacity is 4.4 gallons. The engine-air intake vent is integrated into the fuel cap cowling, and a left side vent feeds cooling air to the rear cylinder. 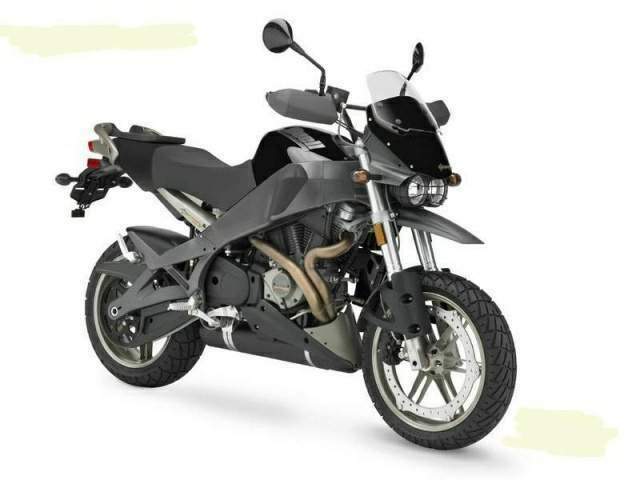 The Buell Ulysses features premium Showa suspension components front and rear. A 43mm Showa inverted fork has adjustable compression damping, rebound damping and spring preload. Front suspension travel is 6.5 inches. A Showa coil-over mono-shock on the rear has a remote, under-seat reservoir and adjustable compression damping and rebound damping. Rear spring pre-load can be adjusted without tools using a control dial located below the left side of the seat. Rear suspension travel is 6.4 inches. Ground clearance is 6.75 inches. 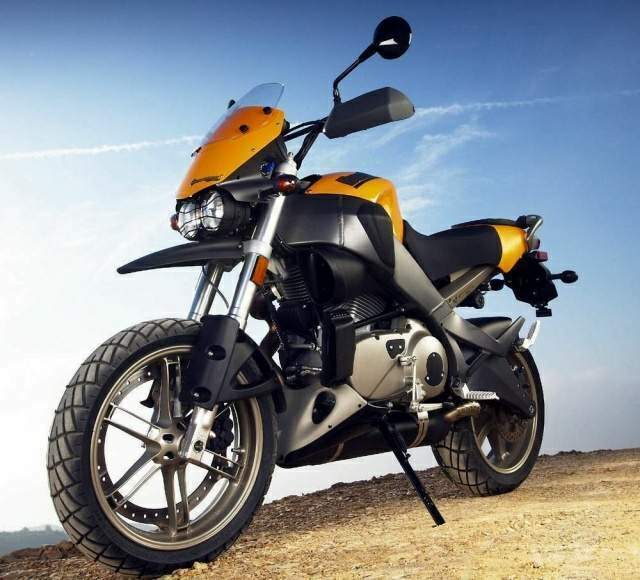 The Buell Ulysses has a dry weight of just 425 pounds. Its design centralizes mass and lowers the center of gravity to help the Ulysses feel nimble and responsive on paved and unpaved roads. The air/oil/fan-cooled Buell Thunderstorm 1203 V-Twin engine leads this category with 103 peak horsepower and 84 ft. lbs. of torque. The engine features Buell DDFI II fuel injection and Buell InterActive Exhaust for instant throttle response and a broad powerband. New Dunlop D616 tires designed specifically for Ulysses feature an open, aggressive tread pattern that performs well on paved and unpaved roads. Front tire size is 120/70R-17. Rear tire size is 180/55R-17. Six-spoke, cast-aluminum wheels feature a durable rim design to handle the unique challenges of adventure-sport riding. The Buell Ulysses offers the rider a roomy seating position and roomy bar/pegs/seat relationship for outstanding control and all-day comfort. The wide, upright handlebars feature a crossbrace. Alloy footpegs are placed in a neutral position and are wider with an aggressive surface. The wide, comfortable seat features a two-tone, textured surface and is shaped to offer ease of rider movement for sport riding on pavement. Seat height is 33.1 inches. A new transmission design offers improved shift quality, reduced noise and extended service intervals. This transmission replaces moving/sliding gears with thin steel "dog rings" that slide to effect gear changes, a design commonly used in automotive racing gear boxes. Shifting is quicker because the dog rings have less mass than gears. New helical-cut gears are smoother and quieter than straight-cut gears. The new transmission enables reduced clutch effort. New Formula + Oil extends the service intervals for the primary/transmission lubricant to 10,000 miles. Finally, a durable new Goodyear Hibrex 135-tooth final drive belt with Flexten Plus technology designed specifically for Ulysses requires no scheduled service or replacement. Designed to minimize air turbulence in the rider cockpit area, the Ulysses features a clear windscreen mounted over an opaque flyscreen. The gap between the windscreen and the flyscreen directs a limited amount of air into the cockpit area, effectively reducing turbulent air for a more comfortable ride. The clear windscreen features a quick-release mounting system so it can be easily removed. Additional rider comfort is provided by handlebar-mounted deflectors. 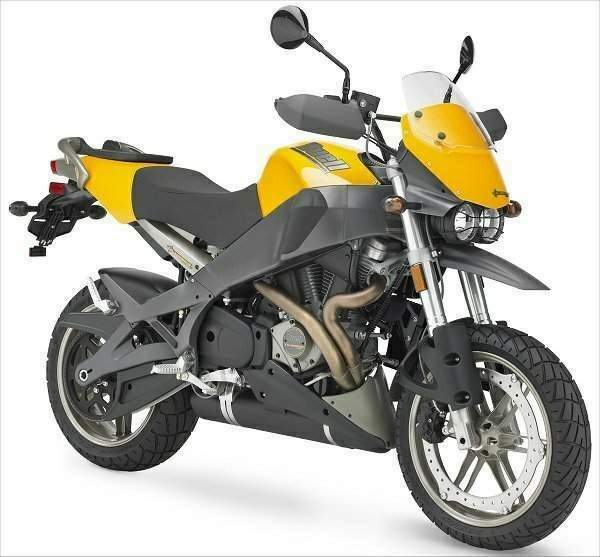 The three-position Buell Triple Tail may be configured as a luggage rack or a passenger backrest. In its first, mass-centralized position, the Triple Tail folds forward over the rear-seat position to become a luggage rack that can be used with integrated tie-down hooks. In its second, vertical position, Triple Tail becomes a flexible passenger backrest with grab rails. In its third position, Triple Tail is a luggage rack extending toward the LED tail lamp and full-coverage rear fender, with the grab rails also available for a passenger.